Two weeks ago I was at the factory for a meeting and before leave the place I met this beautiful Huayra being tested on road in front of the factory. The car is left hand drive, it is characterized by a fully visible carbon fiber body red profiles and stripes. It features red aluminum headlight surroundings while the rear lights surroundings and rear "Pagani" logo are burnished. Furthermore, this car also presents Track Pack, red brake calipers and black wheels. The cockpit is characterized by black and red leather with contrasting stitching and it features carbon fiber and alluminium details. 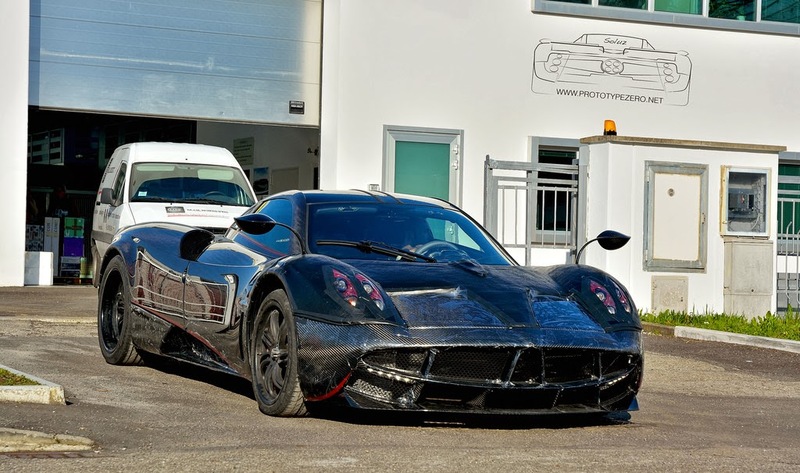 The destination of this Huayra is still unknown but I guess somewhere in Europe.